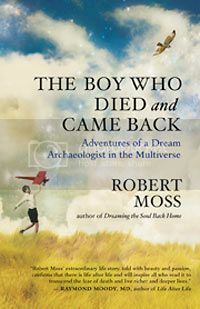 The Boy Who Died and Came Back by Robert Moss takes the reader on a journey that blasts through the normal sense of reality, and goes across different dimensions of the multiverse. Truly a remarkable read that I couldn’t put down! The Boy Who Died and Came Back is the story of Robert Moss and his experiences during his near death experiences. Having traveled the realms of other areas from a very young age, when he had his first experience with dying and coming back, Moss is an excellent resource for reading more about such experiences. I can’t give a review of this book the justice it is due because I haven’t experienced these realms. However, reading this book about the author’s experiences is the next best thing, and one which I highly encourage everyone to read. This is a brilliant read that I definitely recommend to everyone in this realm and beyond. * Thank you to the publisher of The Boy Who Died and Came Back, New World Library for providing me with a copy of this book for review. All opinions expressed are my own.